The challenging part of being a parent is setting boundaries for your children. As parents, we know, giving your child everything they think they want is NOT in their best interest. Or ours. We would raise a generation of “entitlement”- I want, therefore I should have. The real world has limits. The real world has consequences. The real world (physics) does not care. What does that translate into? The simply way to illustrate this is using food, something we all relate to. Given the choice between fresh cookies hot out of the oven most of us would choose to eat one (or one dozen) instead of broccoli. And that’s OK… unless you make it your lifestyle. We recognize that our body can not sustain itself on junk food. Luckily our body will, looking at those cookies at some point, say ENOUGH. I need some real food. OK. Let’s extrapolate that out to some areas that are not as clearly seen and the internal limits not as explicit. Historically population growth was constrained by disease, food availability, and war (kill off the young men). We lived in a world bound by certain constraints. If you could not grow enough food, or have something to trade for food, you starved. If you did not eat well enough, you were more susceptible to disease and would die off. If you had “resources” that others wanted they would come to take yours (war). I.e. If they did not have enough food or resources, your’s was up for grabs. Pretty basic raw life, for most of history. We’ll just move in and take over someone else’s stuff (land, food, gold, timber, you name it). To some degree there was a rough check and balance system, by nature, in play. Too many people? Some will die (starvation, disease, war). What happens in today’s world. 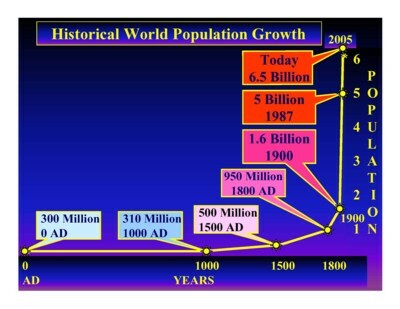 Because of our technological increased capacity to feed the “world” (in varying degrees, but still, compared to history) our population numbers have exploded past the carrying capacity of many countries. It’s called OVERSHOOT. Overshoot… you are consuming more than is being produced. Your waste products are not being broken down fast enough to prevent toxic buildups. You are consuming the very things you need to provide your future. The answer, in the past, has always been to move to fresh territory. Take it and use it, regardless as to who was there originally; in human terms “might” trumps all. Your tribe (family, clan, tribe, country, race, etc) comes first. Everyone else becomes the “enemy” and it translates to “OK to take from”. We have now reached the end of that storyline. Out of room, no new territory to take, used up, spent, killed off what was there… what does the future bring? It brings us face to face with the constraints of reality. Unless, of course, you want to continue the ‘head in the sand game’ that has been played for the last 100 years. As adults we must face the real world and start thinking as adults and not as “entitlement children” who think the hard&fast real world is subject to our wants. I have little hope that this will happen because we seldom want to give up what we have at present; letting go and moving to a simpler life that respects the limits. We need to treat our land as a valuable resource to be nurtured and preserved. That’s where the Britxit comes into this picture. It’s a country where the common people have said, enough is enough. We have too many people to take care of as it is. It’s the same theme you hear in the USA about illegal immigrants, etc. Those questions are tough ones to face. We either face them & deal with them or endure the consequences long term. Seriously, each country needs to be able to provide the basic needs for their own population. Develop a society that sustains itself. Relocalize your food supports. 56 Countries can NOT feed their population without importing food; many of those countries do not have resources to trade for food… and yet their populations are expanding. When we took the technological steps to develop medicines we removed a constraint that in one sense of the word, kept things in a ecological balance (a rather raw brutal balance). If we choose to remove a constraint then I believe we also need to exercise a balancing technological constraint by utilizing birth control. (I’ve always said that providing food aid needs to include providing birth control as well.) It’s a part of living within nature; not abusing it. This is NOT going to be a popular policy but we must rebalance or nature will do it for us. If you don’t allow immigrants then you figure out how to live without their “slave labor”. If you can’t fill the job, then the the cost /value will go up until someone will, or learn how to do without. Moving to another country is another example of using up all the resources in one area and moving to another, to utilize the resources that are there. Immigrants, refugees are part of that pattern. It sounds cold blooded and harsh to say it, but shifting the problem elsewhere is not a solution. It’s a temporary fix that will result in the same outcome, UNLESS we constrain our population base. Right or wrong, christian or not, fair or not, it is a reality that must be dealt with or nature will take care of it in her own way. And it ain’t a pretty way…. The proverbial Four Horsemen of the Apocalypse: Death, Disease, Starvation, & War. I struggle a bit with this blog because there are SO MANY things to “talk” about, and yet, there are so many different directions to go. Ruminations to me, is about where do things I mull over, lead me to think about… and what are the implications in the larger sphere. Sometimes it’s about farm life but it generally expands to a larger arena. “No man is an island unto himself” kinda concept. So how do things connect in the broader view and what should we consider. It’s very easy to take the so-called ostrich viewpoint; it I don’t like what I see so I’ll bury my head and pretend that it’s not there, and go on my merry way. A little like Scarlett O’Hara in “Gone With The Wind”, “I’ll think about it tomorrow!”. But of course, tomorrow never comes; there is only today. It’s definitely a tightrope to walk. Overall I’m a fairly optimistic person, thinking the glass is half full rather than half empty. I believed that people generally do what they think is the best thing to do, and don’t intentionally hurt or take advantage of others. Raised in a family that held religious values as the basis for our lives, it never occurred to me that people would not work for the benefit of others, by taking the long view. Boy, was I in for some real world lessons! 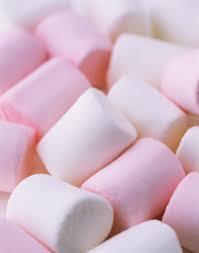 You have heard the story of a group of kids, 4-5 years olds, that were offered a treat, a marshmallow. They were shown a treat but told that if they could just wait a few minutes while the giver went to another room to get a 2nd treat, they could have two instead of just one. The wait was 15 minutes long. That has to be close to “forever” in a 4 year old’s world. For my purposes in relating the story, it has to do with the seemingly innate ability to see the longer term goal as “worth” the added effort. That some people only see what is directly in front of them. Other’s can see the longer term benefit. Now it turns out that those attributes are not “written in stone” but can be adjusted somewhat BUT it takes concentrated work to do so. For some, it’s easy and other’s it is a challenge. I take the biological imperative perspective: each has survival characteristics that have allowed the trait to continue in our genetic heritage. Or at least in the last 100,000 years of our current human development process. each one of those aspects have long-term payoffs. the hunter who waited patiently, also wiped out the massive herds of buffalo that traveled the plains, in less than 50 years. and the mother died in childbirth after having 10 babies (more or less). How “long a view” is enough? It’s one thing when there are 5 million people on the planet who can move from place to place (you don’t think the middle east was always a desert do you? ), which allows the earth to restabilize, usually. Think 100,000 years to reach the mark of 5 million people, 8,000 years ago at the dawn of agriculture, give or take a few (years or people). It has taken all of human history to reach 1 BILLION people, in 1800. The kicker is, only 200 years to reach 7 Billion. Short-Sided View = Time’s UP! In 1970, only half the population of today’s population, existed. We have doubled. We have moved into a new era… one that we are unprepared to take on. At least most of us, will and have resisted looking at the new future. We argue about where to move the deck chairs, on the Titanic, in her last hours. We have used our intelligence, our drive, our resilience to build the world we have now, and it’s a relatively comfortable world for most of us, at present. Somehow we are resistant to looking at where we are headed. 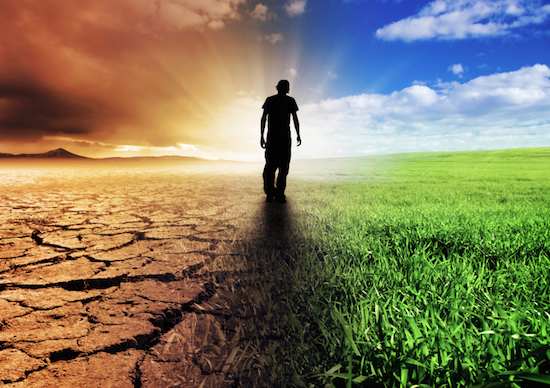 As we contaminate our water, destroy the live-giving microbial life in the soil, strip the oceans of life and foul the air… what are we thinking? Where do we think we will end up? More critically, our children and grand-children. Is our comfort and pleasure worth condemning them to pain and suffering? You do know that is the outcome of our actions today, don’t you. In a country of 300 million, research has shown it takes roughly 10 million to change the direction, and make a difference. 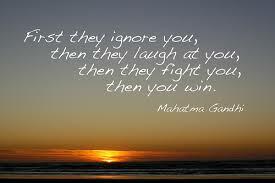 “First they ignore you, then they laugh at you, then they fight you, then they join you”, to paraphrase Ganhdi. I’ve seen major sifts in policy, but it’s led by the everyday man. Not by Wall Street or government, but by people who care enough to say something. Or, to VOTE with their dollars. From the Vietnam War, to seat belts, to helmets, to family-centered birthing units, to organic foods, to climate change is real, to smoking IS harmful and no you don’t have the right to impose that on everyone else. All of these issues were part and parcel of the “crazies”, the outliers who don’t fit in. But change did happen. and one that says, “I don’t like what I see, so I just won’t look! Where do you stand? Because where you choose to stand will today make the choices for your children, and their children. It’s time to take the long view.